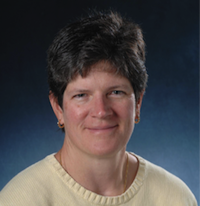 Liz Bradley received the S.B., S.M., and Ph.D. degrees from the Massachusetts Institute of Technology in 1983, 1986, and 1992, respectively, including a one-year leave of absence to compete in the 1988 Olympic Games. She has been with the Department of Computer Science at the University of Colorado at Boulder since January of 1993; she also holds appointments and affiliations with a variety of engineering departments. Her current research activities focus on nonlinear dynamics and chaos, as well as scientific computation and AI. She is a member of Eta Kappa Nu, Tau Beta Pi, and Sigma Xi, as well as the recipient of a National Young Investigator award, a Packard Fellowship, and the 1999 College of Engineering teaching award. David C. Parkes is the George F. Colony Professor of Computer Science in the Paulson School of Engineering and Applied Sciences at Harvard University, where he founded the EconCS research group and leads research with a focus on artificial intelligence, machine learning, and economics. 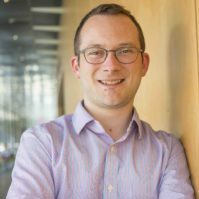 He is co-director of the Harvard University Data Science Initiative, a faculty co-lead for planning the expansion of the Paulson school into the Allston campus, and was Area Dean for Computer Science, 2013-2017. 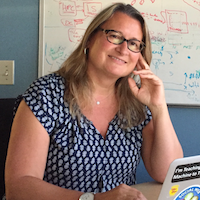 Parkes served on the inaugural panel of the “Stanford 100 Year Study on Artificial Intelligence,” co-organized the 2016 OSTP Workshop on “AI for Social Good,” and served as chair of the ACM Special Interest Group on Electronic Commerce (2011-16). Parkes is Fellow of the Association for the Advancement of Artificial Intelligence (AAAI), and recipient of the 2017 ACM/SIGAI Autonomous Agents Research Award, the NSF Career Award, the Alfred P. Sloan Fellowship, the Thouron Scholarship, and the Roslyn Abramson Award for Teaching. 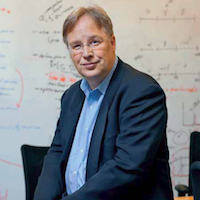 Parkes has degrees from the University of Oxford and the University of Pennsylvania, serves on several international scientific advisory boards, and is a technical advisor to a number of start-ups. Yolanda Gil is the Director of Knowledge Technologies and lead the Interactive Knowledge Capture research group at USC’s Information Sciences Institute (ISI). Her research focuses on intelligent interfaces for knowledge capture, which is a central topic in our projects concerning knowledge-based planning and problem solving, information analysis and assessment of trust, semantic annotation tools, agent and software choreography, and community-wide development of knowledge bases. A recent focus is assisting scientists with intelligent systems that analyze data, test hypotheses, and make new discoveries. 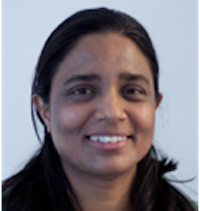 She is also the Associate Division Director for Research of the Intelligent Systems Division at ISI, the Research Professor in the Department of Computer Science and in the Spatial Sciences Institute at USC, and recently became Associate Director of Interdisciplinary Programs in Informatics. I designed a new course for teaching data science to non-programmers, which I teach in the Communications Informatics and the Spatial Informatics programs. Before coming to ISI in 1992, Dr. Gil received her PhD in Computer Science from Carnegie Mellon University, where her thesis focused on the acquisition of planning knowledge through the formulation of deliberate experiments with the environment. Maja Matarić is professor and Chan Soon-Shiong chair in Computer Science Department, Neuroscience Program, and the Department of Pediatrics at the University of Southern California, founding director of the USC Robotics and Autonomous Systems Center (RASC), co-director of the USC Robotics Research Lab and Vice Dean for Research in the USC Viterbi School of Engineering. She received her PhD in Computer Science and Artificial Intelligence from MIT in 1994, MS in Computer Science from MIT in 1990, and BS in Computer Science from the University of Kansas in 1987. Prof. Matarić is the author of a popular introductory robotics textbook, “The Robotics Primer” (MIT Press 2007), an associate editor of three major journals and has published extensively. She serves or has recently served on a number of advisory boards, including the National Science Foundation Computing and Information Sciences and Engineering (CISE) Division Advisory Committee, and the Willow Garage and Evolution Robotics Scientific Advisory Boards. Prof. Matarić is actively involved in K-12 educational outreach, having obtained federal and corporate grants to develop free open-source curricular materials for elementary and middle-school robotics courses in order to engage student interest in science, technology, engineering, and math (STEM) topics. This is Maja’s first year on the CCC Council. is a Principal Scientist at Amazon in Palo Alto, CA. Her research interests are in data science, data mining, web search, machine learning and privacy. Mishra has over 16 years of experience leading projects in industry at Microsoft Research and HP Labs and over 6 years of experience in academia as Associate Professor at the University of Virginia and Acting Faculty at Stanford University. The projects that Mishra pursues encompass the design and evaluation of new data mining algorithms on real, colossal-sized datasets. 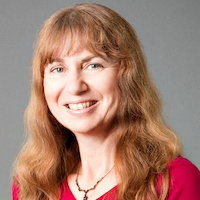 She has authored ~50 publications in top venues including: Web Search: WWW, WSDM, SIGIR; Machine Learning: ICML, NIPS, AAAI, COLT; Databases: VLDB, PODS; Cryptography: CRYPTO, EUROCRYPT; Theory: FOCS and SODA. She has been granted 13 patent applications with a dozen more still in the application stage. Bart Selman is a Professor of Computer Science at Cornell University. He previously was at AT&T Bell Laboratories. His research interests include computational sustainability, efficient reasoning procedures, planning, knowledge representation, and connections between computer science and statistical physics. He has (co-)authored over 100 publications, including six best paper awards. His papers have appeared in venues spanning Nature, Science, Proc. Natl. Acad. of Sci., and a variety of conferences and journals in AI and Computer Science. He has received the Cornell Stephen Miles Excellence in Teaching Award, the Cornell Outstanding Educator Award, an NSF Career Award, and an Alfred P. Sloan Research Fellowship. He is a Fellow of the American Association for Artificial Intelligence and a Fellow of the American Association for the Advancement of Science. Three workshops are planned and you can learn more about each workshop on their respective webpages linked below. The video playlist below features the videos from AI and Amplifying Human Abilities Plenary and Panel at the 2017 Computing Research Symposium. Details about the speakers are below. The following playlist features videos from the AAAI Symposium for AI for Social Good. The following playlist features videos from the workshop on Artificial Intelligence for Social Good. NITRD – In October 2016, the Networking and Information Technology Research and Development (NITRD) Program released the The National Artificial Intelligence Research and Development Strategic Plan which identifies the strategies and priorities for Federally-funded AI research. White House OSTP Request for Information (RFI) for AI – In June 2016, OSTP announced a new Request for Information (RFI) on Artificial Intelligence (AI), to solicit feedback on how the United States can best prepare for the future of AI. According to the OSTP Blog, they “received 161 responses from a range of stakeholders, including individuals, academics and researchers, non-profit organizations, and industry.” All of the responses are now public and can be found here. The CCC’s response can be found here. OSTP Workshop Series – In May, 2016 OSTP announced four workshops (later a fifth was added) surrounding the future of artificial intelligence to explore the opportunities and challenges that AI presents. Artificial Intelligence for Social Good – The CCC co-hosted the second OSTP AI Workshop, Artificial Intelligence for Social Good, with OSTP and AAAI. In this workshop, we discussed the successful deployments and the potential use of AI in various topics that are essential for social good, including but not limited to urban computing, health, environmental sustainability, and public welfare. You can learn more about the workshop here. One Hundred Year Study on AI – “The One Hundred Year Study on Artificial Intelligence, or AI100, is a 100-year effort to study and anticipate how the effects of artificial intelligence will ripple through every aspect of how people work, live and play” and is the brainchild of task force co-chair Eric Horvitz. Learn more about the One Hundred Year Study here and view the 2016 report here. AAAI Symposium on AI for Social Good – In 2016, the CCC co-sponsored a workshop on Artificial Intelligence for Social Good with AAAI and OSTP. In order to further the discussion of the benefits of AI to society, the CCC will co-sponsor the AAAI 2017 Spring Symposium on AI for Social Good at Stanford University, March 27-29. This symposium will focus on the promise of AI across multiple sectors of society. Learn more about the Symposium here. Symposium on Accelerating Science: A Grand Challenge for AI – In November 2016, the CCC co-sponsored a AAAI Symposium that brought together researchers in relevant areas of artificial intelligence (e.g., machine learning, causal inference, knowledge representation and inference, planning, decision making, human computer interaction, distributed problem solving, natural language processing, multi-agent systems, semantic web, information integration, scientific workflows), high performance data and computing infrastructures and services, and selected application areas (e.g., life sciences, learning sciences, health sciences, social sciences, food energy and water nexus) to discuss progress on, and articulate a research agenda aimed at addressing, the AI grand challenge of accelerating science. A workshop report is in progress. Partnership on AI – In September, 2016 Amazon, DeepMind/Google, Facebook, IBM, and Microsoft “announced that they will create a non-profit organization that will work to advance public understanding of artificial intelligence technologies (AI) and formulate best practices on the challenges and opportunities within the field. Academics, non-profits, and specialists in policy and ethics will be invited to join the Board of the organization, named the Partnership on Artificial Intelligence to Benefit People and Society (Partnership on AI).” You can read the full press release here. 2016 Robotics Roadmap – In 2009, the CCC released A Roadmap for US Robotics, From Internet to Robotics (Robotics Roadmap). The Robotics Roadmap explored the capacity of robotics to act as a key economic enabler, specifically in the areas of manufacturing, healthcare, and in the service industry, 5, 10, and 15 years into the future and was influential in developing 2011’s National Robotics Initiative (NRI). An updated version of the Robotics Roadmap was released in November, 2016 and it expands on the topics discussed in the 2009 roadmap as well as addressing the areas of public safety, earth science, and workforce develop. You can read the full 2016 roadmap here.